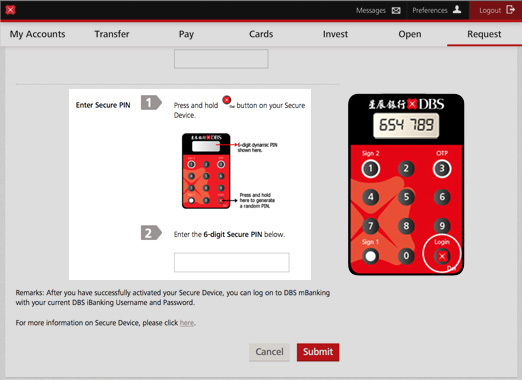 After received your secure device, please log in to DBS iBanking and activate it. What if I do not activate the Secure Device after receiving it? 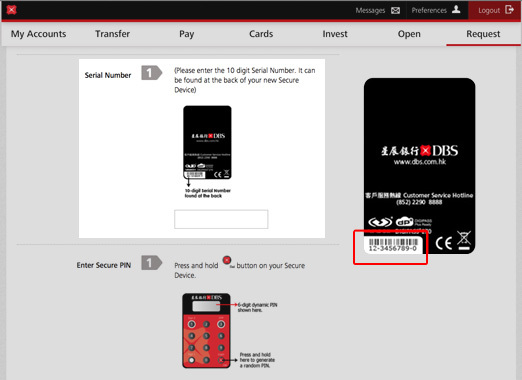 If you do not activate the Secure Device, you will not be allowed to perform certain transactions on DBS iBanking. Please click here for details.